In this era of e-commerce, most businesses mark their presence online with at least a basic website. Larger businesses have very sophisticated websites while some also have Facebook, Twitter and LinkedIn profiles. They hire professional social media managers to interact with customers and business associates. Additionally, a lot of companies now also include blogging as mode of customer outreach. Either they have a separate blog or include a section on their corporate website. This is because blogging does benefit the business. If you are a business owner, I strongly recommend you open a blog. There are different ways blogging will benefit your business too. The main way blogging can benefit is your business is by providing lots of information informally. Nowadays customers are more inclined to make a purchase or patronize a service based upon customer reviews and blogs rather than conventional advertisements. The reason is simple: blogging allows you to pack in a lot of interesting content that helps customers decide on trying your brand. Speaking of salient features of your brand and including real life customer experiences tilts a buyer’s decision in your favor. You can highlight Unique Selling Proposition of your brand through a blog. Further, you can also include interesting details like how the brand evolved and why it can be useful for a customer. If you are unaware about the benefits of blogging for your business, I suggest you read some great articles on how to create a blog and start one at the earliest. You will find that opening a blog can be fairly simple and fun. You can use blogging to write about interesting subjects related to your product or service. A great example of such blog I found was run by a company making mattresses and pillows. Their blog contains various articles related to sleep and its health benefits, sleeping postures, rest and relaxation, how to choose pillows and mattresses, bed linen and lot of other highly interesting stuff. This is also one of the best ways blogging can benefit your business. You can get experts in various fields or customers to share their experiences in the form of articles and post them on your blog. If your business website does not include online shopping facility, blogging can benefit your business. You can retail your products through major online stores by signing up as seller. For example, global online retail giant Amazon allows you to sell stuff through its website. Additionally, the company also operates a very sophisticated affiliate marketing scheme called Amazon Affiliate Program. By joining Amazon Affiliate Program, you get access to free resources that allow you to create links for your products or those of other companies and include them on your blog. You also get commissions when anyone clicks on your link to make a purchase. However, you can offer the commission as discount for the customer and keep them interested in your blog. When you blog about your business or its brands, customers, prospective clients, associates and the general public get an opportunity to post their views and comments. Thus blogging can benefit your business by creating a forum for customer interaction. It helps you know strengths and weaknesses of your brands that are vital for upgrade and innovation. Customer interaction through blogs also enables you to control any damage caused by adverse remarks or comments posted by a disgruntled user or even a competitor trying to discredit your business and its reputation. Advertising is essential for every business. You have an excellent product or service but people need to know about it. Advertising on conventional media like TV channels, newspapers, banners, posters and fliers is fine. But these can often prove expensive for a business that has limited financial resources or is starting up. In this scenario, blogging can benefit your business. When you run a blog related to your business, anyone searching for a similar product or service will find your blog. Since it contains details of the brand and its offerings, you get more mileage than conventional advertising. As you would know, advertising does not allow people to ask questions related to a brand. With blogging, your prospective clients can ask questions pertaining to your brand and get answers they need. A simple search on the Internet will reveal there are countless blogs written by experts in your field o business. These include technical papers, latest developments, government rules and regulations, market trends, situation in foreign markets and lots of other relevant stuff. This is of relevance to everyone connected to your industry or sphere of business. Blogging benefits your business because people concerned with the industry will look for updates from your website. This earns you good respect in the business fraternity. 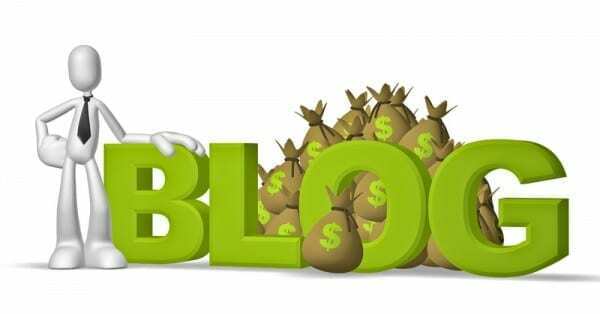 Other than the six benefits for your business, you can also earn money from the blog. This is made possible by subscribing to Google AdSense and similar free resources. Hence you also earn a side income with your blog. If you do not have a blog for your business, I strongly recommend you start one at the earliest and help your business to benefit from blogging. You can open a free blog or buy a domain name and hosting with other essentials.